If you’re looking for an easy family meal that can also do double duty as impressive company fare, look no further. 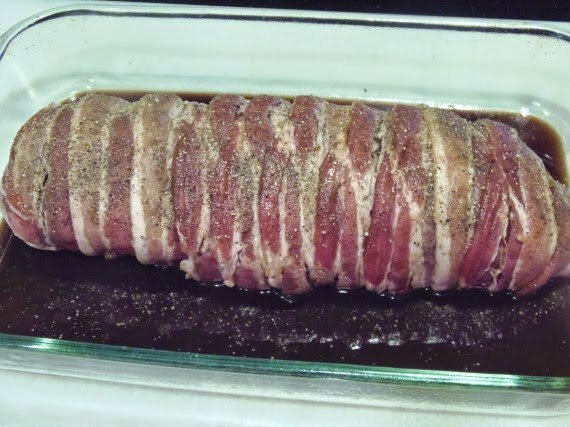 This Bacon Wrapped Pork Tenderloin is wonderfully moist and flavorful and is super easy to prepare, which will free you up for relaxing before dinner with your feet up, or spending quality time visiting with your guests. 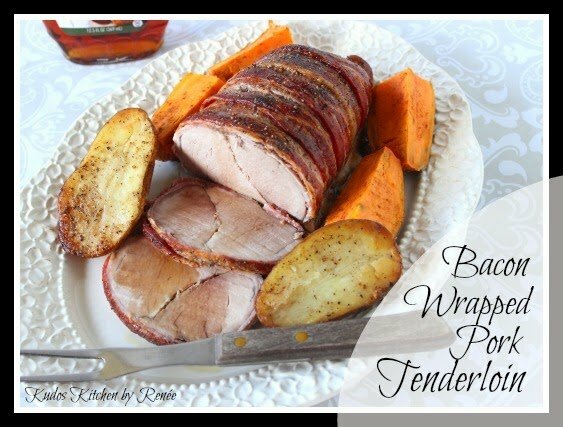 Marinated for a least 2 hours before cooking in a combination of balsamic vinegar and maple syrup this pork tenderloin is incredibly flavorful and tender and has a lovely sweet, vinegary tang that plays so well with savory and mildly salty bacon wrapping. 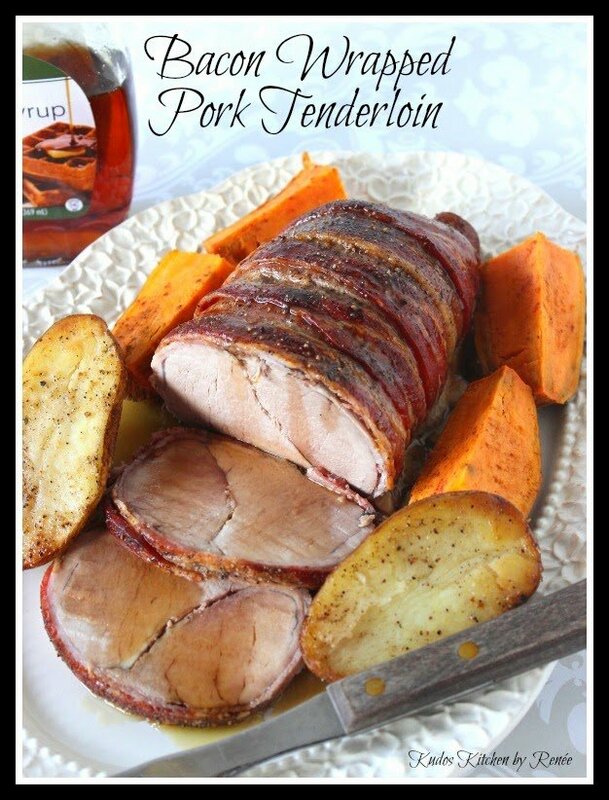 After slicing, make sure you drizzle the pork with a little additional maple syrup and you’ll be in a kind of pork tenderloin heaven that will impress the heck out of your family and friends! 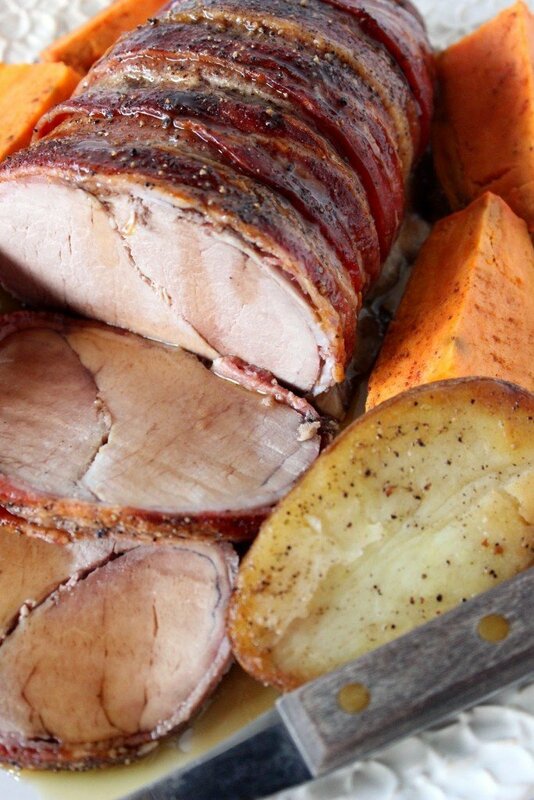 -Use 4-5 pieces of butchers twine to tie the two pieces of pork tenderloin snugly together. 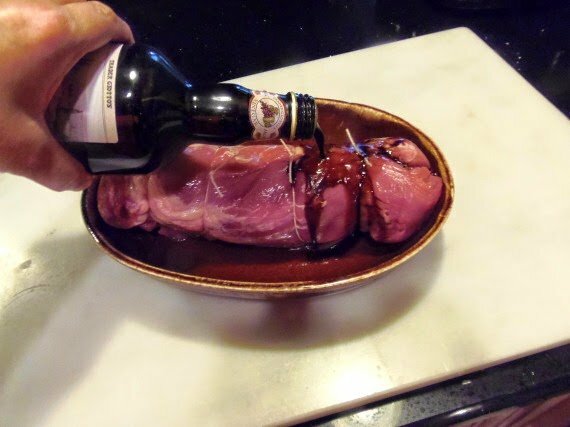 -Place the pork in a bowl and pour the balsamic vinegar and maple syrup over the meat. -Turn to coat several times and place the pork in the fridge to marinate for a minimum of 2 hours. 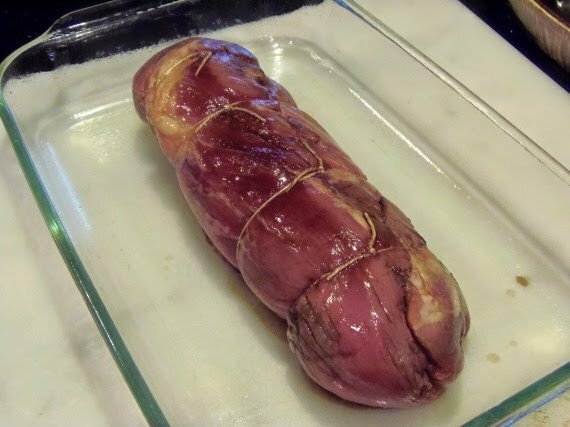 -Remove the pork from the marinade and place in a prepared baking dish. -Wrap the bacon slices evenly around the meat, overlapping as needed. -Pour the marinade over the meat, sprinkle with additional pepper and roast the pork in the preheated oven for approximately 90 minutes or until the internal temperature reaches 145 degrees. 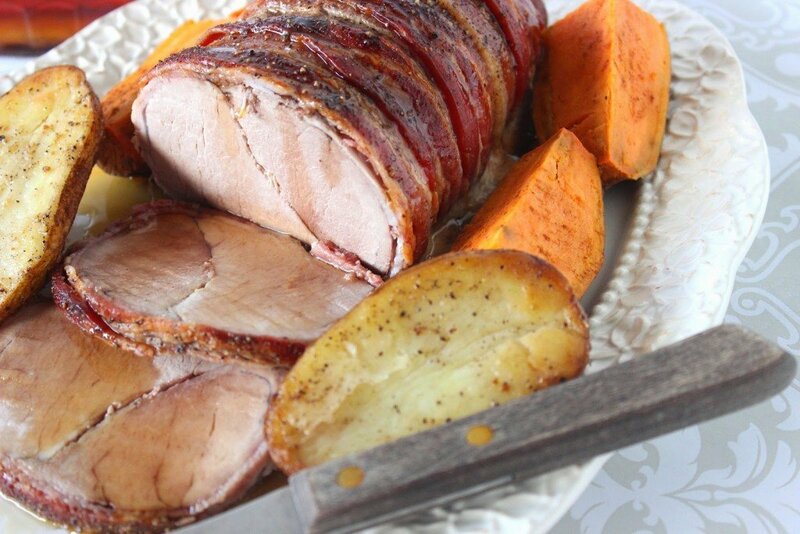 -Allow the pork to sit covered for about 10 minutes and then slice and serve with additional maple syrup. 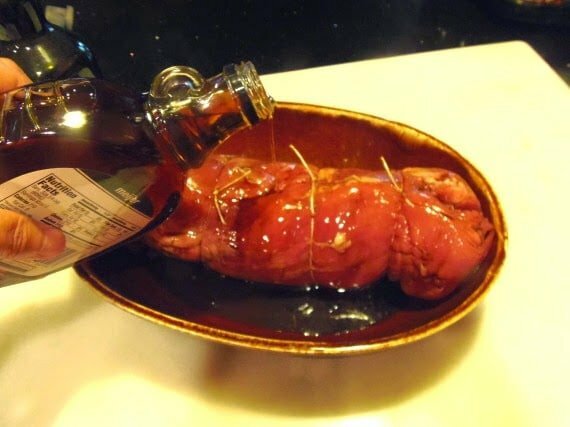 Place the tied pork tenderloin in a bowl and pour the balsamic vinegar and maple syrup over the meat. After the pork has marinated at least two hours, place the meat in a prepared baking dish and place the bacon around the pork, overlapping as necessary. Pour the marinade over the bacon wrapped pork. Bake in a preheated oven (approximately 90 minutes), cool slightly, slice and serve. Serve with additional maple syrup to drizzle over the meat. I hope you’ve enjoyed this recipe. It’s an easy, and oh so flavorful, meal that even the most novice of cooks can prepare without stressing over. Plus, you’ll look and feel like a complete rock star when you place this on the table. Take a bow…you deserve it! If there is ever anything I can paint for you, please don’t hesitate to contact me or visit my shop. Custom orders (like this one) are always welcome and I can work from any photo or description you send my way. Thanks for visiting me in my Kudos Kitchen. I truly appreciate you stopping by! This looks and sounds fabulous! We have pork tenderloin quite often but eat it plain with some chutney. I will definitely be giving this a try! You had me at bacon wrapped. Now, this is a man pleasn meal if I do say so myself! 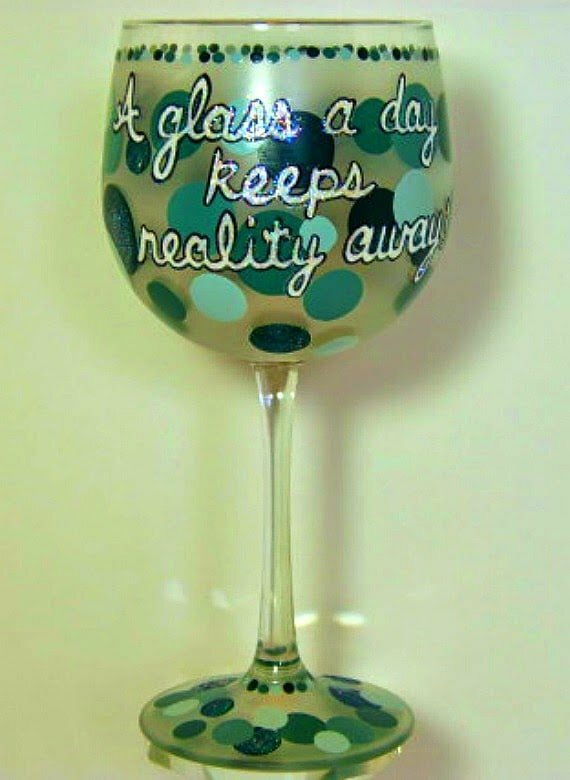 Making this for the hubs soon! 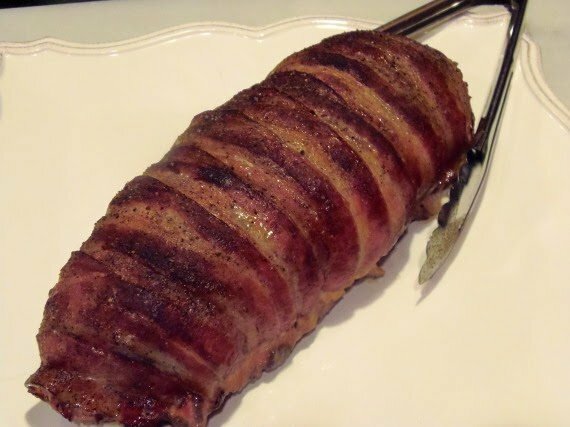 Bacon wrapped, oh my heavens, I'm in heaven! It looks so good, Renee! Perhaps this will make it to the menu for this weekend!